BRUSSELS ― The European Union has agreed to bolster the ailing European defense industry by allocating €500 million (U.S. $585.19 million) in 2019 and 2020 to the European Defence Industrial Development Programme. The EDIDP is a new program aimed at the development, for instance, of drones for military use or a European cyber defense mechanism. Funding is expected to increase to €1 billion per year from 2021. It means increased pan-EU cooperation in major weapons systems such as aircraft, battle tanks and navy ships should now be possible. A whitepaper aims to clean up major misunderstandings surrounding the nascent PESCO process, chiefly the assumption that the construct represents a pot of money for which companies can apply. “It aims to encourage cooperation in developing the technologies and equipment needed to address common defense and security challenges,” added the spokesman. What remains unclear at this stage, however, is the role and future involvement of the U.K. in EU-funded defense programs after it exits the EU, due to happen at the end of March 2019. With a turnover of €97.3 billion in 2014, 500,000 people directly employed and 1.2 million indirect jobs, the European defence industry is a major industrial sector. But the European defense market has been shrinking, with NATO saying spending on defense by its 26 European members slipped to about $250 billion in 2014 from $275 billion in 2010. The new €500 million funding, announced Wednesday, is partly designed to the give the sector an economic shot in the arm. The deal will now be presented to EU ambassadors for their endorsement on May 29, after which it will be submitted to the European Parliament for a vote and then to the EU member states for final adoption. It is expected that the program will finance the first capability projects in 2019. To foster the pan-EU development of defense systems, the requirement is that a minimum of three companies from three EU countries participate. For prototypes, up to 20 percent of the cost could be covered by the program while for other actions such as design or testing, it can go up to 100 percent. For the period 2021-2027 the EU also plans to allocate €13 billion for the European Defence Fund, a relatively new initiative which has already started to fund pan-European research projects. Elsewhere, Françoise Grossetête, a senior French centre right Member of the European Parliament and rapporteur on the issue in Parliament, said, “We have taken a first and very important step to increase cooperation in the defence industry and strengthen the competitiveness of the EU defence industry. 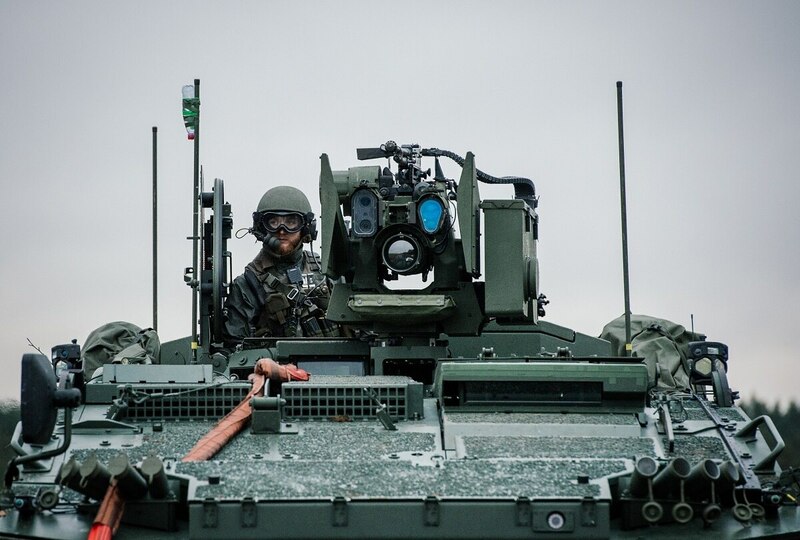 A source at the European Defence Agency, based in Brussels, said, “maintenance of a strong and competitive DTIB in Europe is a fundamental underpinning of the European security and defense policy. A robust EDTIB is a prerequisite to the EDA achieving its mission: improving the EU’s defense capabilities.